House soiling is one of the many reasons why pets are rendered homeless or dumped in shelters. Their willingness to put up with the pet soon fizzles out. So why not provide proper potty training and be at peace! Most pet parents have no inclination to clean up the stinking mess. As a pet parent you should ensure to potty train your pet. 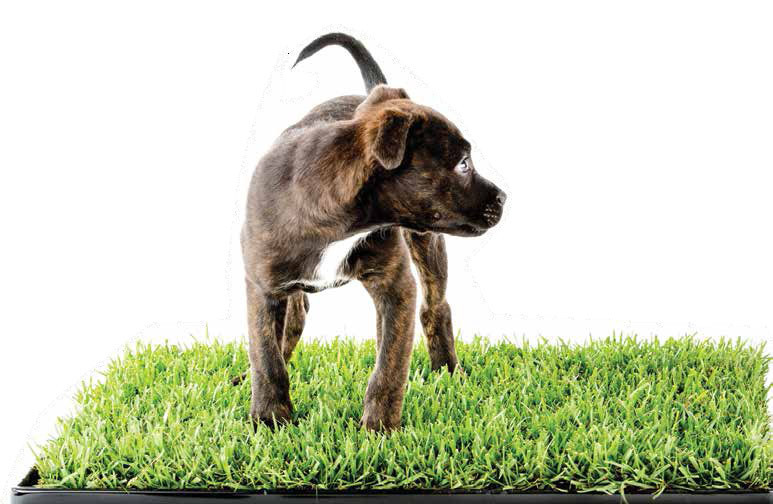 Teach your puppy to potty at the right time and in the right place. Besides being a means of instilling good habits, potty training also presents an opportunity for you to bond with your pooch. How long does it take to potty train your pet? On an average, it takes about 3-6 months for a puppy to be properly potty trained. The timing can vary greatly based on various factors – their size, breed, and previous living conditions. In case you have brought home an older dog who has been eliminating in the wrong places, potty training will take longer, as the behaviour of the dog will then have to be corrected through the use of reward and encouragement. Potty training should ideally begin when a pup is around 3-4 months old. During this time, the puppy is able to exert sufficient control over his bowel movements to be able to hold back when required. Maintain a regular feeding schedule for your pet. Avoid giving any food or snacks between meals. Over-feeding could lead to diarrhea, which will make potty training difficult. It is recommended that you break the feeding session into three small meals. Also, the food chosen should be of good quality. Examining your pet’s stools will help assess the need for a diet change, if need be. Take him out to eliminate first thing in the morning and the last thing at night. He should also be taken out at other times such as after meals, post a nap session, at the end of a play session, and after spending considerable time inside the crate. In case you work, make alternate arrangements that allow you to stick to the schedule, such as taking your pup to the office or hiring a pet-sitter. Always take him to the same spot to do his business. His own familiar scent will prompt him to eliminate there. Stay with him outside, at least until he is properly potty trained. Staying outside longer may prevent him from eliminating indoors. Some puppies take time to explore and find a suitable place to do their business outside, so you need to be patient. Praise him whenever he eliminates outside. Encouragement for doing the right thing helps reinforce the ‘good’ behaviour. Being cheered on for something he just did will make him repeat the same action the next time it is in a similar situation. Do not punish or scream at him for relieving himself indoors. It’ll only instill fear and weaken your bond. If you catch him squatting to urinate or defecate indoors, say ‘No’ loudly in an assertive tone so he knows he’s doing something unacceptable. Then pick him up and immediately rush outside. In case he eliminates indoors, use enzymatic cleansers to clean the area to eliminate the foul odour that could attract the puppy back to the same spot. Crates make the life of a pet parent easier. Getting your pet accustomed to a crate helps during travels, vet visits, convalescence, and for safety. It is easy to train your pet to love his crate because dogs are den animals and instinctively seek out a secure cave for themselves whether they are provided with one or not. Being extremely clean creatures, dogs do not appreciate a urine soaked mat in their territory. Potty training using a crate will not only allow you to keep a tab on him for signs that he needs to relieve himself, but also teach him to hold back until you open the crate and let him out. It’s important that the crate is large enough for the pup to lie down, stand up, and turn around but not too large to make the pup feel that it’s OK to use one corner for elimination and then happily settle down away from the mess. When he feels an urge to relieve, the puppy will usually let you know by whining, barking or scratching. Take the pup out as soon as you get any such signal. Delaying the process will allow him to eliminate inside the crate. This, in turn, will make him think that it is okay to mess up the rest of your living space as well. If a puppy is already eliminating in the crate, you need to stop using it right away. This could happen because of many reasons – the pup may have carried forward bad habits from the shelter or pet store where he lived before; he is not being taken out as much as he should be, the crate may be too big, or he may be too young to hold back. The schedule of potty training is important in making the process successful. Puppies have a tiny bladder, which means that they need to urinate very often. The same holds true for defecation. You need to ensure that you give the puppy ample opportunity to do so. Expecting a puppy or even an adult dog to hold back for long hours at a stretch is not just unfair, but downright cruel. All puppies have individual personalities and you will have to watch your puppy carefully to learn his individual signals. Dealing with Eye Disorder Groom to get the True GLOW!